Note. The four pack does not ship with PoE adapters. 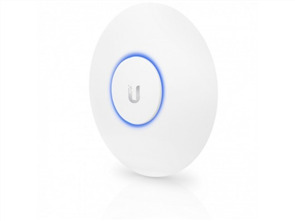 The Ubiquiti UAP-AC-EDU-4-US (four pack) is a UniFi Access Point Enterprise Wi-Fi System. 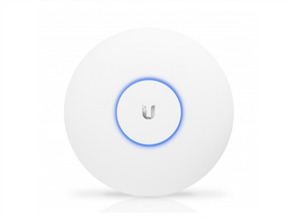 It supports 802.11ac Wi-Fi standard with up to 1300 Mb/s in speed at 5GHz. By utilizing 3 x 3 MIMO technology, the system can use dual band use. This device has a range of 400'. It can be easily mounted on walls or ceiling as needed. An attached speaker lets you communicate directly through the device. The wi-fi network can be easily administered through a web browser. This administration aspect comes with map loading and numerous security options.